This Post has already been read 622 times. Purchasing electronics products and gadgets has never been easier. Imagine that you just graduated and have landed a new job or even if you have been working for a while and you really wanted that latest SMART LED for your room or wanted to gift a washing machine to your mother or just help your father with the finances in buying a new AC for the house. The cost of buying, however, may really take a toll on your own income and savings. But what if you could afford all that on a portion of your income by buying what you need on easy and simple monthly installments. 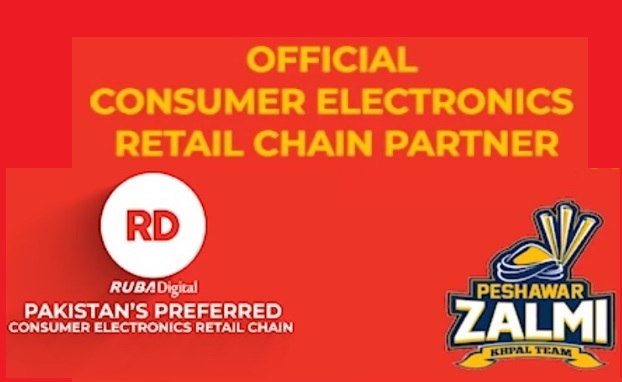 Enter RD, one of Pakistan’s largest and fastest growing Consumer Electronic Retail Chain Network. RD is the only electronics retailer that provides products on Installments based on an Islamic Riba Free Facility. What this means is that its business model and selling practices are governed by the rules and laws established by the Islamic Shariah. So, unlike other installments based retail outlets, RD does not charge a hefty premium on installments, there is no interest on overdue payments, no late fees in case you miss the installment due date and no hidden costs. In fact, the retail chain will even assist you to make it easier for you to make your installment. This customer centric approach together with adherence to Islamic principles has allowed RD to garner an overwhelming support and recognition from the masses. At present, RD has an extensive nationwide presence in over 130 cities with 185 premium retail outlets across Pakistan. The retail chain works with over 20 major electronics brands that include Samsung, TCL, Haier, Dawlance and Kenwood etc. to provide a range of electronics products for the Pakistani people. RD also has a strong online presence with an established ecommerce platform, www.rd.net.pk that makes it even easier to buy products from the convenience of your house and for the latest deals and news one can visit their Facebook page https://www.facebook.com/RubaDigital/. The latest highlight of RD is that it has become the official brand sponsor of Peshawar Zalmi in the upcoming Pakistan Super League (PSL) 2019. As per the company, it takes great pride in this and cherishes its efforts in bringing cricket back to Pakistan. Apart from PSL, RD proudly seeks to sponsor various social uplift programs and also initiated a project to plant 10 million Trees across its network. It feels that as a major business entity in Pakistan it is the company’s responsibility to assist in elevating the lifestyle of the people of Pakistan and help them lead better lives. Currently, being headed by Mr. Waseem Afridi as the Director and Mr. Zeeshan Khan as the Chief Operating Officer (COO), RD is on its way to establishing an even greater national presence and solidify its positon in becoming the preferred channel for purchase of electronics products on Installments as well as on cash payments. Under this leadership RD will continue to make electronics buying easy for the Pakistani people and introduce a highly customer centric approach to doing business.